Patty had just returned home from Iraq when she was hit by an automobile while cycling to work. The Lieutenant Colonel sustained injuries to her left leg that were beyond severe. Ten months later, Patty decided to amputate the remnants of her leg below the knee—not only so she could move, but move on as well. Patty started running and cycling again. Several 5ks quickly snow balled into duathlons, triathlons, and century bike rides. Patty turned her passion into a road to recovery and started working with other injured veterans through programs that provided adaptive sports as a means of rehabilitation. Patty eventually discovered Operation Rebound, a Challenged Athletes Foundation program that returned injured vets to sports. Patty serves as a role model and shows what the program can give back emotionally despite what they may have lost physically. Patty is a member of the CAF Elite Paratriathlon Team and has not only won Para-Triathlon Nationals and Worlds, but is also the current world record holder of the 70.3 distance triathlon for female amputees. 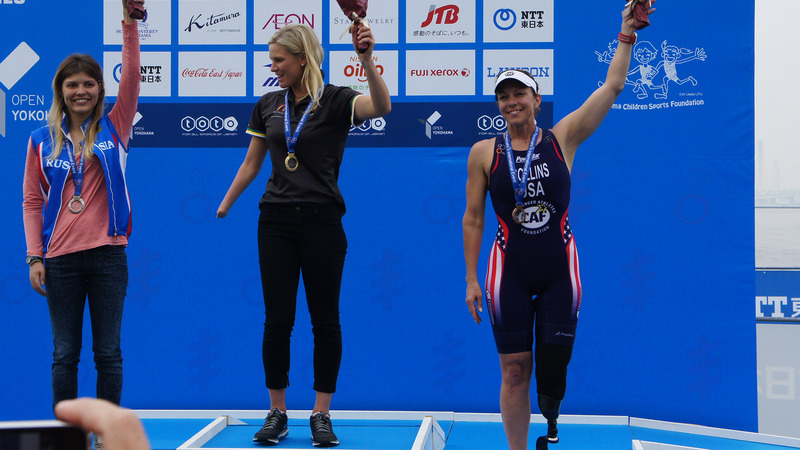 She is a member of the 2016 US Paralympic Paratriathlon Team.